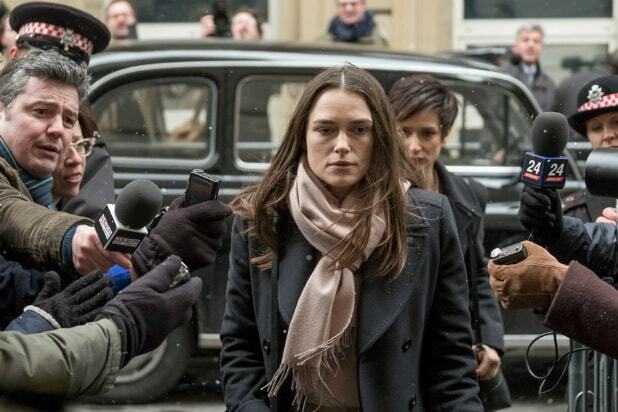 IFC Films has acquired global rights to the Keira Knightley and Ralph Fiennes film “Official Secrets” out of the 2019 Sundance Film Festival. Directed by South African filmmaker, screenwriter, producer and actor Gavin Hood, “Official Secrets” tells the true story of British secret-service officer Katharine Gun, who during the immediate run-up to the 2003 invasion of Iraq leaked a top-secret National Security Agency memo. The memo exposed an illegal U.S. and U.K. spying operation against members of the United Nations Security Council and proposed blackmailing smaller, undecided member states into voting for war. The film is based on the book “The Spy Who Tried to Stop a War: Katharine Gun and the Secret Plot to Sanction the Iraq Invasion,” by Marcia and Thomas Mitchell. In addition to Knightley and Fiennes, “Official Secrets” also stars Matt Smith, Matthew Goode, Rhys Ifans and Adam Bakri. The film premiered on Monday during the festival at the Eccles Theatre in Park City, Utah. IFC plans to role the film out in a traditional theatrical release at some point in 2019. The deal was negotiated by Arianna Bocco of IFC and CAA + UTA on behalf of filmmakers.